It has always been our goal to bring the highest standards of quality care to our patients. You may or may not know that we have incorporated Neuromuscular Dentistry (NMD) into our practice. What is neuromuscular Dentistry? Simply stated NMD goes beyond the traditional mechanical philosophy of dentistry and takes into consideration additional factors to achieve the best possible relationship of the teeth, muscles, and jaw joints. It builds upon traditional dentistry to enhance the evaluation or diagnosis of your occlusion (bite). The principles involved apply to virtually every major dental procedure. Occlusion is the way that your teeth fit together- your “bite.” Having a correct bite – in physiologically balanced harmony – is essential to producing the best long-term results in virtually every major type of dental work – aesthetics, orthodontics, reconstruction, and even dentures. Improper occlusion is also frequently a significant contributor to headache and other types of pain or dysfunction. If everything else is reasonably normal, we don’t have to worry much about neuromuscular status to do a filling or a single crown. However, if you suffer any sort of pain or dysfunction in the head and neck area, it would trigger us to consider NMD factors. Providing you with the best function, in addition to aesthetics, is our objective in every case. 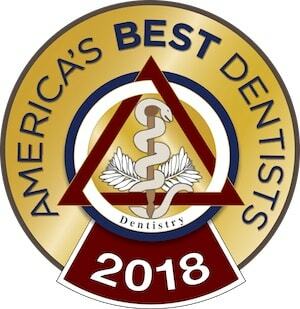 We are communicating with you today due to the fact that we hope you know that when we see you every couple of months for your routine check up and care appointments, we are treating you much more comprehensively that others may due to the fact that we know there is much more to your oral health than meets the typically trained dental office. We hope you know how much we appreciate your patience in allowing us to be integral in your dental health. If you know of someone who is suffering from headaches and pain that is a constant source of interruption to their life, we may be able to help them and knowledge you have gained by way of this newsletter may be of considerable help to them. Please feel free to forward this newsletter and allow them to benefit from our training and care as well.